Individual consulting that helps you understand who you are and where you are going. I see, hear, and feel subtle fields of awareness and interpret them to give you direction for your life and goals. Together we look at your whole self to identify your strengths, weaknesses, obstacles, and possibilities. I blend intuitively accessed information with rational thought and spiritual insight to help you identify your unique gifts and goals, and to refine and implement these into action in a way that is fulfilling, harmonious and beneficial to you. I provide loving insight and personalized strategies so you can make informed decisions, create positive change, and reach your full potential. I am a spiritual teacher and life guide with exceptional intuitive skills. I became aware of my intuition at a very early age and have continued to develop these abilities. Advising clients nationally and abroad, I have maintained a private Boston based consulting practice since 1991. Clients consistently describe my work as inspirational and transformative. I have an extensive background in the study of cosmology, mysticism, spirituality, and personal and family development. I am a graduate of Georgetown University, B.S.F.S. 1977, and Georgetown University Law Center, J.D. 1981. "Susan has a wonderful gift of subtle intuition. I used her help when I was in transition between careers. She confirmed my thinking and boosted my confidence to make the change. Her one hour session was delightful because I felt like she really understood the core from where I feel motivated. She encouraged me to align my career with what moves me from the inside. Now my new business is growing very well and I LOVE what I do. Thanks, Susan!" 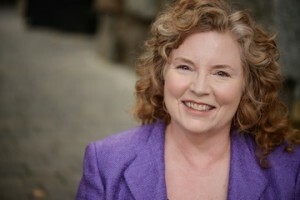 "Aside from being an exceedingly talented intuitive, Susan has a high level of personal integrity and business acumen. She has an uncanny ability to connect to the manifestation of a problem by quickly identifying the root of it. Once the source of the problem is identified, her counsel brings clarity of purpose, path, and a renewed sense of empowerment. An utter professional, Susan delivers top-notch, invaluable service. Her work is incisive yet compassionate, and I have recommended her to many clients, friends, and family without hesitation." "Susan is a joy to work with and has been one of my 'special' connections with which to share this long and winding journey. She has an extraordinary talent as an intuitive. I believe one must be very careful when opening one's self to the voice or opinions of another because of the power of the spoken word. Susan is the person I trust most to put in this place in my life. She has been brilliant in guiding me to my own inner vision... my experience with her could not have been more appreciated. Simply beautiful." "In a life filled with puzzles and perplexities, seeking guidance from my Higher Self has often proven as baffling as my recurring uncertainty. Saving me from this dilemma, Susan's voice is as authentic as that inner silence so difficult to decipher. Hearing her address the issues that confound me delivers me to a place as intimate to myself as the silence at my core. But where my personal experience of the Self seems often more blissful than practical, Susan provides clear, ringing answers. Nothing fragile or hedged. I am talking about bouncy answers fit for the noise and clutter of my life. And it isn't only the practical issues that Susan addresses with practical insight. We'd hardly been introduced when I blurted out some of life's most outrageous questions: 'Who am I?' and 'Why am I here?' I half-expected Susan to come back with something evasive, formulaic. Instead, her answers were simple, confident, profound and, again, practical. The fact that they included an age-old riddle with no obvious solution only confirmed to me their authenticity. Susan is nothing less than a gift from the Self to the Self, a channel of communication and a perspective which makes it easier to find one's path and one's stride." "Many people might not realize the value and advantage of working with someone like Susan but I have had the privilege of doing so. Susan is a sensitive, personable, insightful, positive individual and a great communicator. She has enlightened me with perspective for both professional and personal growth that I would otherwise have not seen or discredited." "Susan provided me with invaluable guidance at a time when I was in a state of indecision. What I was most impressed with was that the intuitive material was clear and practical. It resonated as truth, and I can't say that has been the case with other intuitives that I have experienced. Susan is very gifted and I endorse her work." "I have known Susan for many years and she has helped me in many ways. After I have attempted to self-diagnose a block or lack of progress, I quickly then call Susan. With her insight and skills she focuses into exactly the area in which I need help, or as I say, enlightenment. Susan is my soul counselor as well as my confidential business advisor." "In a world sorely in need of spiritual sustenance, Susan guides her clients on their sometimes inaccessible-to-them inner paths towards integration of body, mind and spirit. Whenever I am at a crossroads in my life's journey I seek Susan's intuitive counseling skills to help me attain clarity of vision. I cannot imagine making an important life decision without the aid of her expertise."